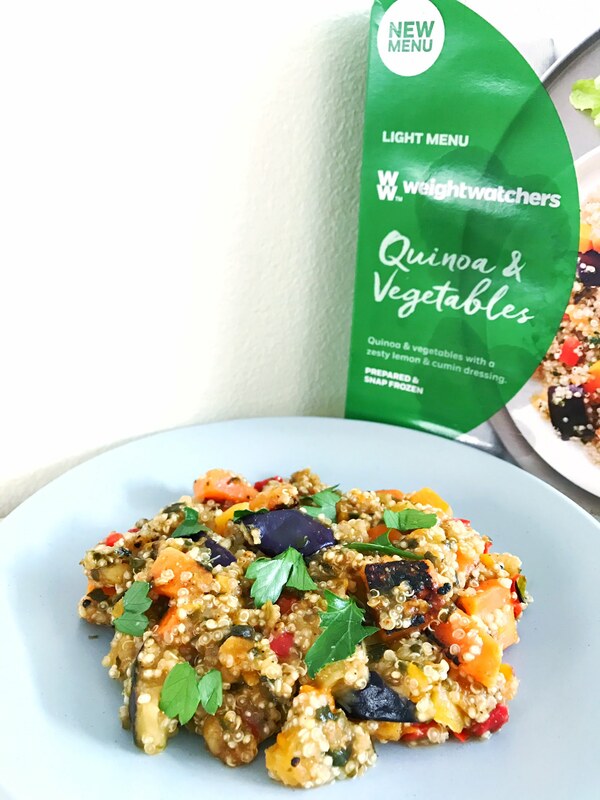 Quinoa & Vegetables – a combination of wholesome veggies including eggplant, pumpkin, carrot, capsicum & spinach, flavoured with apricots, lemon juice, cumin & roasted garlic and served with quinoa. 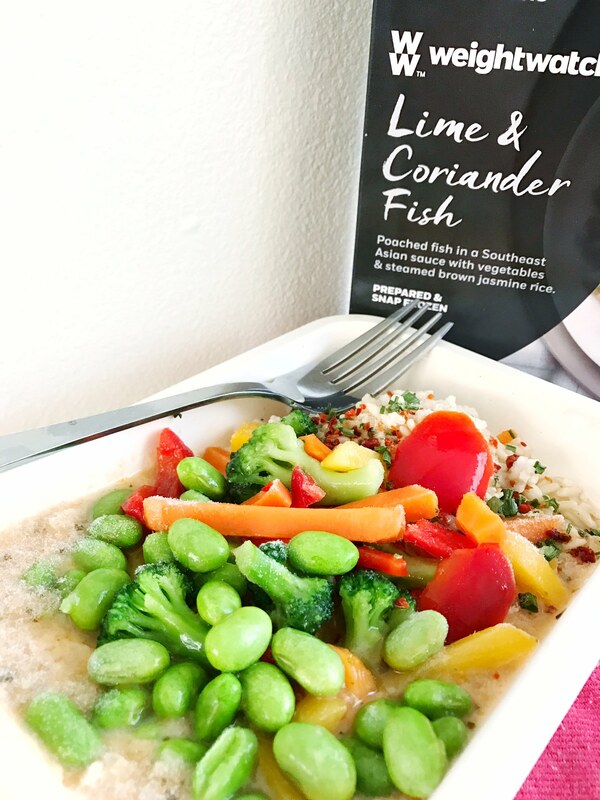 Lime & Coriander Fish – made with New Zealand Blue Grenadier, this dish has a range of healthy, nutritious veggies including carrots, capsicum, edamame soy beans & broccoli. 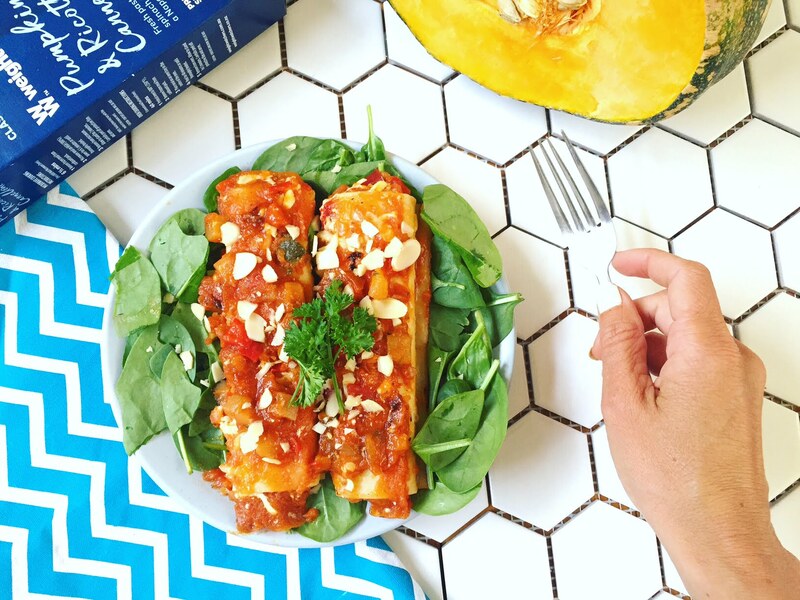 Pumpkin & Ricotta Cannelloni – this is Weight Watchers healthier version of traditional cannelloni with added pumpkin & spinach with Napoli sauce made from tomatoes, capsicum, onion & zucchini. Keep these frozen meals in your freezer and stay in control of your healthy lifestyle on those nights where cooking dinner from scratch is just out of the question. All you need to do is heat & serve! 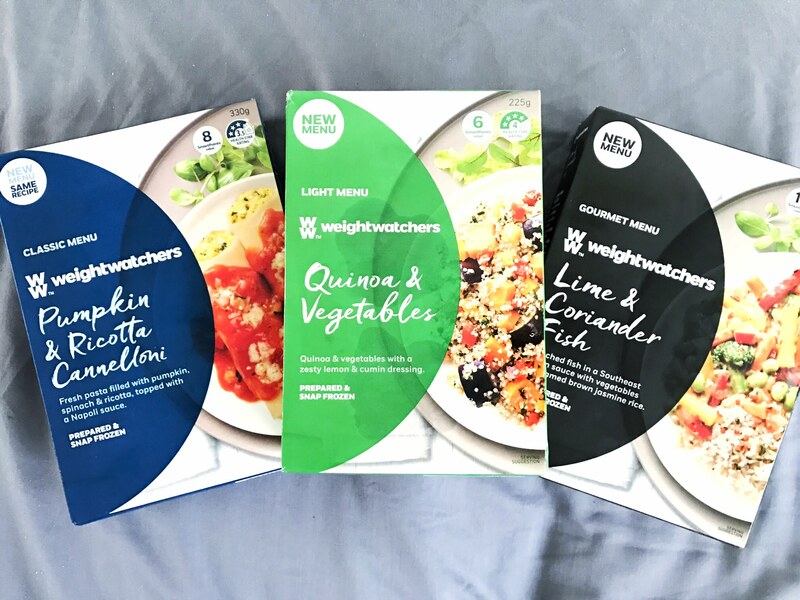 You can buy these healthy frozen meals from Coles, Woolworths and independent grocery stores or even on the Weight Watchers website. 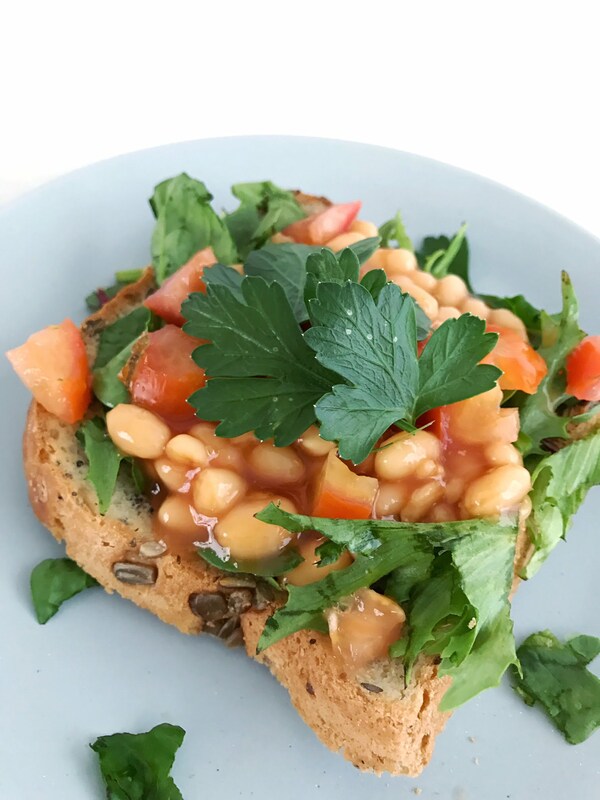 Beans on Toast; 2 ways – beans are extremely nutritious and actually count as a serving of veggies! For a quick & easy dinner, simply open a tin of beans of choice (I like salt-reduced baked beans, chickpeas or red kidney beans) and heat in the microwave while you pop some wholegrain bread in the toaster. Pour the heated beans onto your toast and tah-dah, dinner is done! If you have a few extra minutes & want to add some extra flavour, you can also quickly fry some onion, garlic & spices, like chili & paprika, in a pan with a splash of rice bran oil. Add a handful of cherry tomatoes, mix through a handful of spinach leaves & stir your beans through the mix. Then serve on your toast with some fresh parsley leaves on top. Home-made Pizza – Quicker than picking up a takeaway pizza, healthy home-made pizza is the perfect choice for an easy Friday night dinner that the kids will love. Simply grab some whole meal Lebanese or pita bread, spread with a layer of tomato paste & top with veggies of choice like diced onion, cherry tomatoes, capsicum & mushroom. Add some protein like smoked salmon or a tin of tuna, sprinkle with herbs of choice & grill for 5minutes or until crispy. Tofu Stir-Fry – now a stir-fry may sound like too much effort, but this delicious dinner stir-fry can be made in under 10minutes with some nifty little time-saving tricks. What you’ll need – a pre-cooked brown rice, a pack of flavoured tofu & a bag of mixed frozen veggies or a few of your favourite veggies thinly sliced. Simply heat a teaspoon of oil on a pan, cook tofu for a minute on each side, add frozen veggies & cook. Then stir through cooked brown rice cup, heat for 1 minute and serve. Enjoy. Editor's Note: This post is sponsored by Weight Watchers, but all thoughts and opinions including meal suggestions are my own.